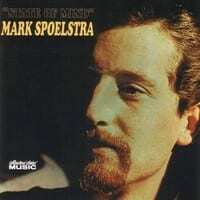 Folksinger Mark Spoelstra was ahead of the curve in the opposition to the Vietnam War that grew up in the mid-'60s. Raised a Quaker, he had sought conscientious objector status when drafted in 1963 and spent two years performing alternative community service in a rural black community in central California, completing his commitment in the fall of 1965, by which time President Lyndon Johnson had vastly increased the number of American troops in Vietnam and protests against the war had become widespread. Meanwhile, Spoelstra had established a modest career in music, following his two 1963 albums of folk-blues standards for Folkways Records with his 1965 Elektra Records debut, Five & Twenty Questions, in which he sang his own thoughtful songs of personal reflections and political commentary. State of Mind was the follow-up to that disc, and on it Spoelstra became more specific about his own life and about his views on the issues of the day. "There are soldiers of all kinds," he sang in "Sacred Life," "and the battlefield type is not mine/There are soldiers that fight for the living and soldiers that live for the dying." In such songs as this one, "Too Late," and "Soulless Blues," he castigated war and those who, unlike himself, were willing to fight it. His experience with the disadvantaged also gave him a special, close-up perspective on the civil rights movement, one he expressed in "Guns of Our Cities," which concerned the urban rioting of the mid-'60s, and "Farewell to North Avenue," in which he looked back on his service and those with whom he worked. The subject matter might have made the album somewhat relentless, but the tone was relieved by a number of children's songs ("Bubble Gum Song," "Gimme Gimme," and "Play Run Run") and by the music, which consisted largely of uptempo fingerpicked country blues that Spoelstra played on his acoustic guitar, the only musical accompaniment to his vocals. The album's simplicity probably doomed it commercially in 1966, when most folkies were heading into folk-rock behind Bob Dylan. Elektra was encouraging that movement, and the label was getting more interested in signing rock bands like Love, so whenState of Mind didn't sell as well as Five & Twenty Questions, Spoelstra was unceremoniously dropped, and it took him three years to find another label berth. Track Listing:1. I Ain’t Marching Anymore – 2:35 2. In the Heat of the Summer – 3:06 3….